There’s a lot of expensive survival gear out there, but you can definitely get a good stash going with very little money. 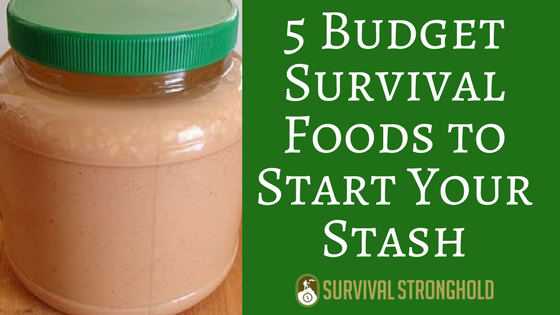 Here are a few suggestions for survival foods to stock up on now that won’t break the bank. White rice is an awesome survival food, and it will keep for a long time on the shelf. Plus, you can usually pick up a bag for very cheap, especially at discount grocery stores or places like Costco. Spend $10 a month on rice and you’ll be in very good shape! If you buy nothing but rice and beans for survival food, you might get bored if you have to live off it, but you sure won’t go hungry. Beans are also incredibly cheap like rice, and together, they are a nutritional powerhouse. One thing rice and beans don’t have is a lot of fat, but peanut butter, which is very frugal and long-lasting, definitely has fat. Find the best deal on cheap peanut butter you can, and buy as much as you can. You won’t regret it! This is another great item to look for at discount grocers or bulk shopping clubs. Pasta can be incredibly inexpensive, and lasts a long time, and same with canned pasta sauce. 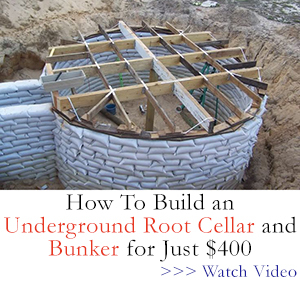 This is another item you can invest a few dollars a month on and have a nice stash in no time. If you can find powdered drink mixes priced cheaply, this is a great item to stock up on. It will provide quick electrolytes and also make the taste of drinking water more palatable to small children. While you should always properly filter your drinking water, of course, it might not always taste great, so this could be a big help during an emergency or disaster. You don’t have to spend an arm and a leg on fancy dehydrated food to get your family prepared for an emergency. Spend a little extra grocery money each month on some of these items, and you’ll have a good solid food stash soon enough.